I'm very up and down about this palette. 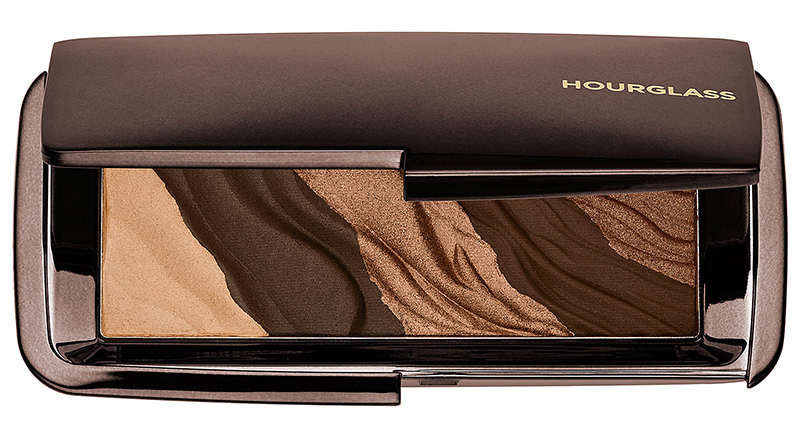 On the one hand I'm a bit in love with Hourglass as a brand. 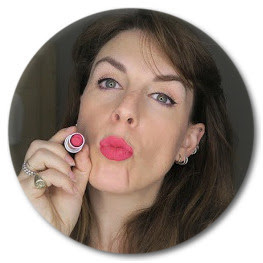 I love most of the products I've tried (I'm iffy on their tinted moisturisers), I love their ideas - the ambient lighting powders, the liquid lipstick that does not budge, the brow pencil that is usable and works. 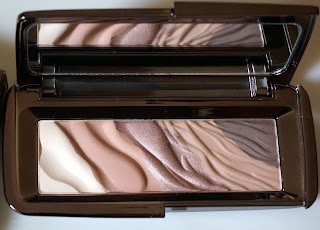 And I really love the concept of the Modernist Eye Shadow Palette, and the colour range. But there are just a couple of things I'm not 100% happy with and I think for £56 I have to be 100% happy with something. Would I re-buy it - well I would like to try Monochrome, Colour Field and Obscura but not until they improve the forumla. I have got Infinity which is beautiful, and perfect for my greeny eye colour, but I slightly wish I'd got Monochrome which has more pinkish tones. This is my fault and a matter of personal preference. I love the palette itself. Chunky but sleek with a mirror on the inside, it feels like expensive packaging - by which I mean packaging that explains part of the extortionate price. As much as I hate to pay for the packaging at all if I'm paying a lot of money I don't want something to look swanky, but feel plasticy and cheap. I would say that you are best using a primer with these eye shadows. They are quite powdery and although they are good on the pigmentation front there will be drop down. No need for anything swanky, I use the NYX HD eye primer but a cream shadow would do just as well if it's the right colour. In some reviews I've read, people are not happy with this flaky texture, it sort of crumbles as you move your brush over it to pick up product. I think this is actually due to the ridges in the palette as opposed to the product itself. It's lovely to look at but the powder is so finely milled that it just crumbles on the ridges. It's best to put your brush on this to apply it rather than swirl it - at least until the ridges are less pronounced. It does crumble. The thought that keeps nipping into my head is that for £36 you can get a Naked Palette from Urban Decay. Yes you will need to use a primer for this too but it's £20 cheaper and is basically a mix of all these palettes. There I said it. A lot of the time I like to be a total enabler when it comes to make-up but with this I highly recommend you go and try it out before you buy it. If it's not your cup of tea it is an expensive mistake to make, but get it right and it could be the only eye palette you ever need. But not for me.